Sometime today, the SC will make a decision on Leo's case. I suggest we all keep their phones busy. Call each justice. You probably will not get to talk to the but leave a message and let them know we are watchng. 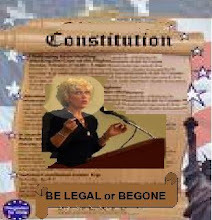 That we expect them to uphold our constitution and that this is not going away until Obama shows his documents. The following is the info to call. If you call, report here who you talked to and what was said, message left, etc.